So I'm skipping the TTT this week, since I wasn't really feeling to topic. ""I promise I won't report back to your brother." Nick leans down to her and whispers something in Daphne's ear. "Oh." Daphne glances at me. "I'll stay with Nick." "We really have to work on your subtleness, Daph," Nick says. "Because that wasn't obvious or anything."" This tease actually has almost nothing to do with the story in general, I just found it really funny and cute for some reason. In other news, this was a good read. Great for NA fans! That is an interesting little tease. I'm not familiar with this book but I'm glad you enjoyed it. Cute tease- Love that Nick is teasing her. That is a cute teaser! 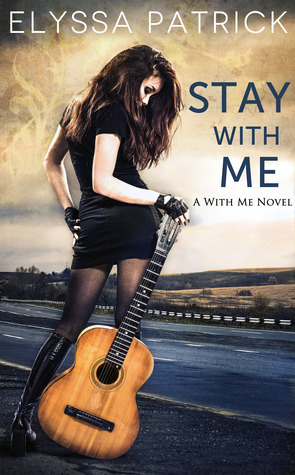 I've been hearing good things about Stay With Me. Thanks for sharing, Teresa! LOL I liked this part too, Teresa! I'm looking forward to reading a book about Nick and Daphne. ;) I really liked Stay With Me so I'm glad you shared this teaser! Yes! I did enjoy this one! It was really good and Caleb is adorable! Very cute! Don't know this one.